The Secret to the Perfect Holiday Email Campaign – Infinity Marketing – The Small Business Marketing Specialists! Halloween is this weekend and before you know it Thanksgiving and Christmas will be here. Â So it’s about that time to start thinking about sending out those holiday emails. Â So we have here the secret from, Kaleigh Moore,Â to give you the perfect holiday email campaign! For online retailers, thereâ€™s more competition than ever before. Cyber Monday brought in more than $2 billion for online retailers in 2014, and holiday spending was up 15 percentÂ from the year before, according to a ComScore report. To be sure they donâ€™t miss out on this incredible time for sales, some merchants already have begun plotting their holiday marketing strategy,Â which includes email marketing. Email is one of the most important aspects of a holiday strategy because in 2014, more than one in four online orders on Black Friday were placed as a direct result of email marketing. Plus, this medium wascited as the single most effective marketing channel in the United States that same year. Think about it: While many people have a crowded inbox, an email has much more staying power than a social message that falls victim to algorithms, time passage, and limited reach without paid promotion. The subject line of your email is essential. After all, itâ€™s what gets your reader to open and discover the marketing message inside. Write a snooze-worthy subject line and your email will sit unopened until it eventually gets pushed down in the queue (and ultimately becomes out of sight, out of mind). Next, think about your emailâ€™s core objectiveâ€¦what should the reader do once they open the message? When crafting your holiday emails, think about the single objective you want your customer to accomplish as a result of opening and reading your message. Eliminate decision fatigue by resisting the temptation to showcase every sale and promotionâ€”just focus on the single-best promotion based on past success or customer feedback. These simple phrases tell the reader exactly what they can accomplish by clicking on your button as well as what they can expect to find on the other side. As for the overall design and messaging of your holiday email, less is more. Your customers are being bombarded with marketing messages all season long. Donâ€™t add to the noise by sending complex email with bells and whistles. 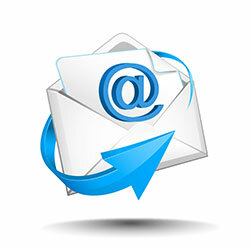 Your email should download quickly and leverage whitespace that lets messages and images breathe. Also, it must be mobile-friendly. According to Litmus, 53 percentÂ of all emails are opened on a mobile deviceâ€”so if your content doesnâ€™t display correctly in those environments, your customers probably wonâ€™t take the time to pinch and scroll until they can see things clearly. The final secret to your holiday email campaign: Start writing drafts right now. Shoppers are starting earlier than ever, so you need to allow for time to refine your message and email campaign design before your competitors start sending their own messages and snapping up customers.